When he stepped down in January 2017 as the fourth United States director of national intelligence, James Clapper had been President Obama's senior intelligence adviser for six and a half years, longer than his three predecessors combined. He led the U.S. intelligence community through a period that included the raid on Osama bin Laden, the Benghazi attack, the leaks of Edward Snowden, and Russia's influence operation during the 2016 U.S. election campaign. 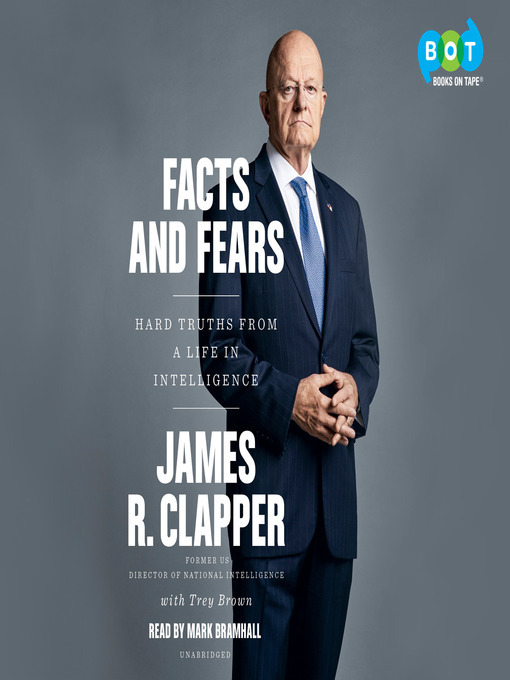 In Facts and Fears, Clapper traces his career through the growing threat of cyberattacks, his relationships with presidents and Congress, and the truth about Russia's role in the presidential election. He describes, in the wake of Snowden and WikiLeaks, his efforts to make intelligence more transparent and to push back against the suspicion that Americans' private lives are subject to surveillance. Finally, it was living through Russian interference in the 2016 presidential election and seeing how the foundations of American democracy were—and continue to be—undermined by a foreign power that led him to break with his instincts honed through more than five decades in the intelligence profession to share his inside experience.